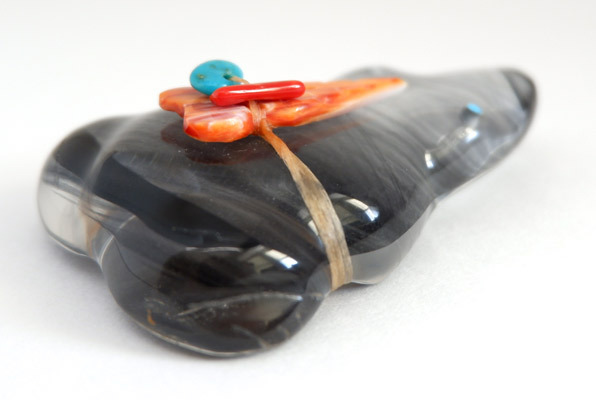 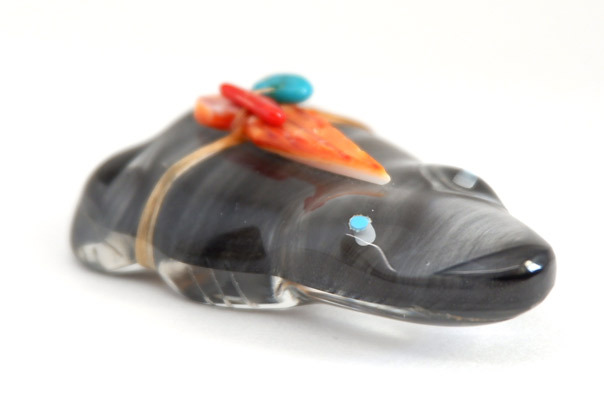 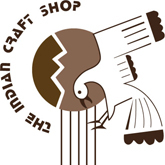 Made by Zuni artist Leland Boone, this frog is carved from a piece of glass. 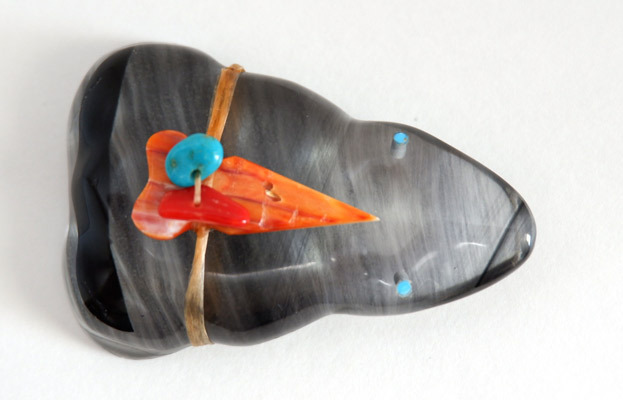 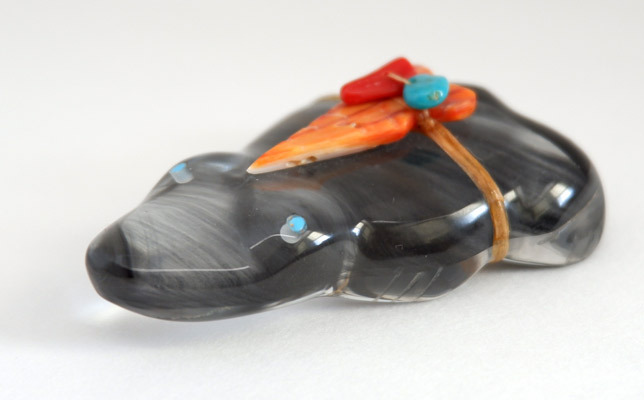 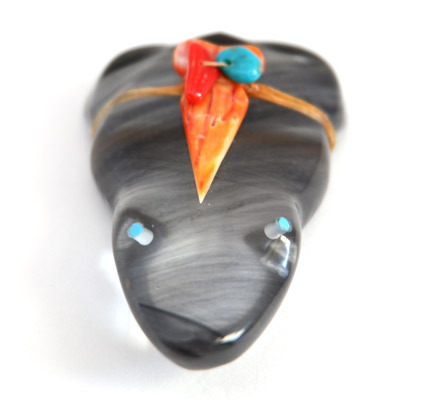 It has inlaid turquoise eyes and has a shell arrowhead and turquoise and coral bead bundle wrapped around its back. 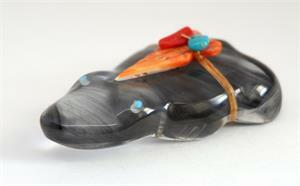 Height: 7/8", Length: 2.5", Width: 1.75"